Around the world and into your heart! Everywhere you go—no matter how far you travel— from Amsterdam to Zambia, one thing remains the same: a parent's love for her newborn child. Our wide world is becoming a global village, filled with a multitude of rich cultures and traditions—and thousands of wonderful, resonant names any son or daughter would be proud to own. In The Best Baby Names in the World, you'll discover popular and beautiful names from around the globe, as well as meanings, derivations, and fascinating, fact-filled sidebars. 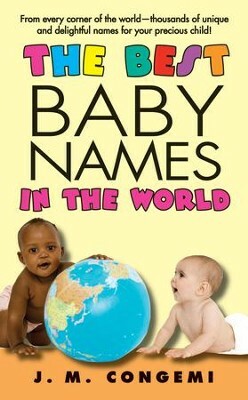 Organized by country, this handy, easy-to-use volume is a treasure trove of strong, musical, truly unique names from Africa, Asia, Europe, the U.S., Latin America, and everywhere in between—an invaluable handbook that will help you succeed in that all-important task: finding the perfect name for your perfect baby! I'm the author/artist and I want to review The Best Baby Names in the World - eBook.